Random radio jottings: What’s The Frequency, Kenneth? Can you tell your frequencies from your wavelengths? 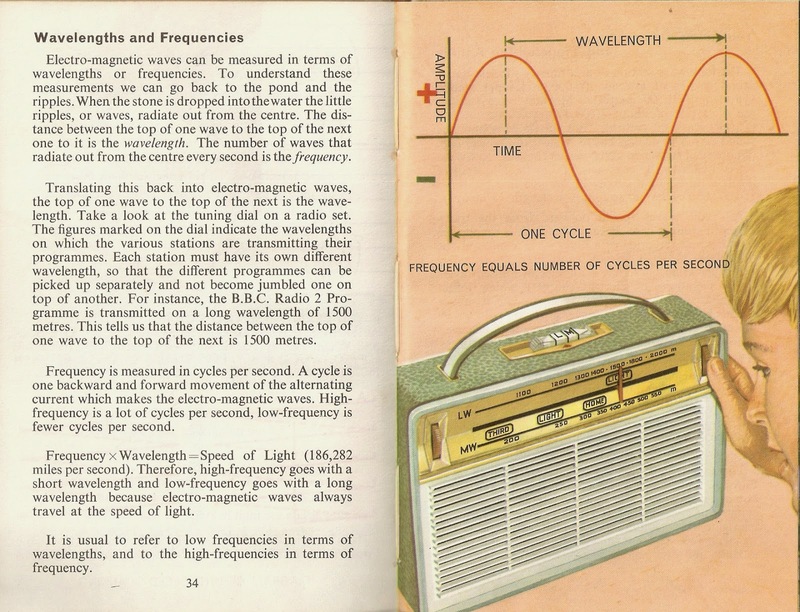 Here’s help from the Ladybird book How It Works: Television. Published in 1968, I’m guessing, from the stations on the radio dial, the artwork was commissioned the previous year. The text was written by David Carey. The illustration is by B.H. Robinson.